Shark Diver : Shark Diving : Swimming With Sharks: This blows my mind! 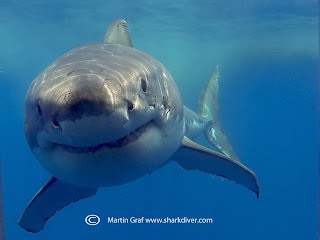 I've been diving with the great white sharks at Isla Guadalupe for 13 years now. Over time, I've come to marvel at the healing ability of the sharks, the mysteries of their migration, their distinctly different personalities and most of all, and this is what blows my mind, the fact that I can go to Guadalupe and know that I will see, not just any great white shark, but a particular individual great white shark. So here's the way I look at it. Say you live in a town or city, but I don't have your address. If I just come into your town at random and hang out, I may never run into you at all. With these sharks, I look at the great wide ocean and know that I can find "Bite Face," "Jaques" or "Bruce" and have been able to do so, consistently, for 13 years. Others, like our friend on the left, "Quetzalcoatl,"(OK I didn't name him) take a prolonged vacation of 8 years and return. "Where have you been, buddy?" 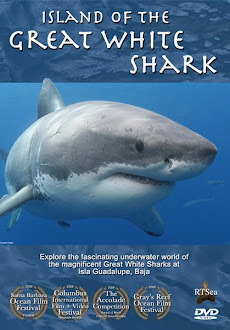 The fact that these world travelers (I mean, who doesn't want to vacation in Hawaii) return to Guadalupe each season makes this Island a very important place, not just for us shark divers, but for the species itself. I'm happy to say that Mexico has declared the Island a biosphere; roughly the equivalent of a national park in the U.S. 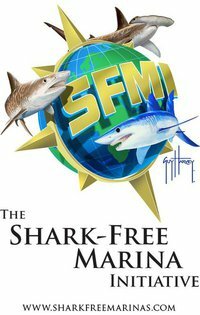 I want to applaud Mexico for taking that step in protecting the Island and the great white sharks that visit there annually. The Island itself is a marvel of its own. 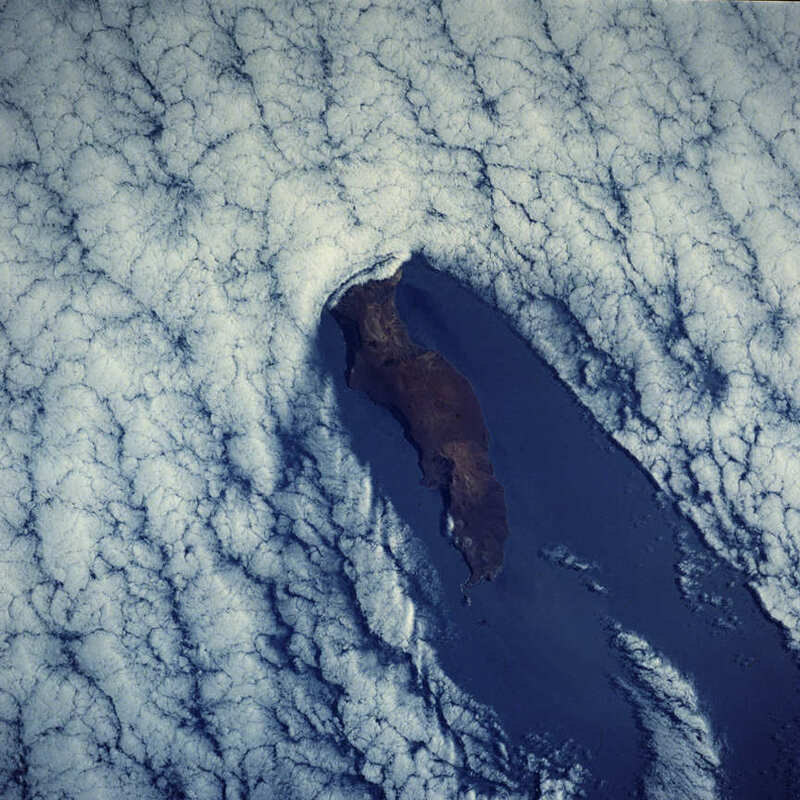 There are many native species of plants that only exist on Guadalupe Island and it is a nesting ground for many migratory birds like the Albatross. 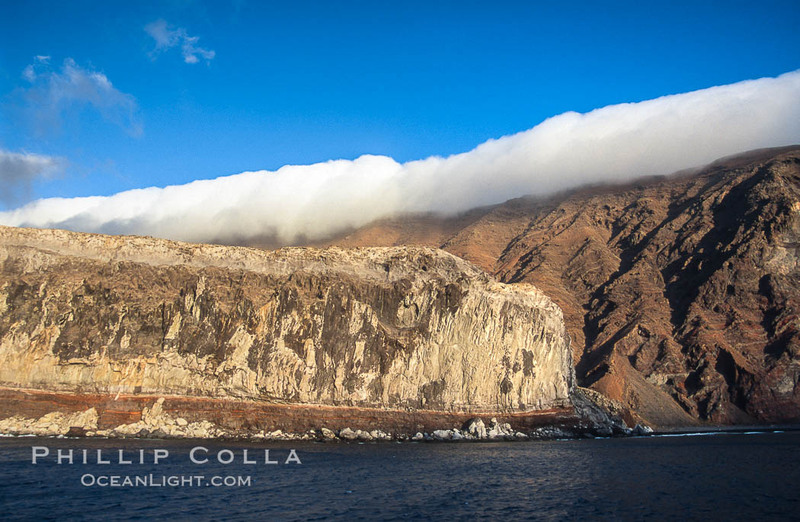 Guadalupe is over 4000 feet high at it's highest spot and creates its own weather pattern. The island blocks the clouds and we usually have bright sunny skies above us, even if it's cloudy all around us. The clouds cascading over the mountains create an amazing backdrop for our shark divers and make for some memorable pictures. Hi Martin. How long have those sharks in the tracker above been tracked? The fact that Mexico has granted the island protection is very good news ! the fact that mexico has granted the island protection is very good news.